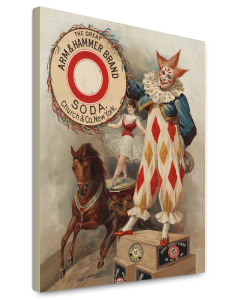 Description: The Great Arm & Hammer Brand Soda. Church & Co., New York, 1900. 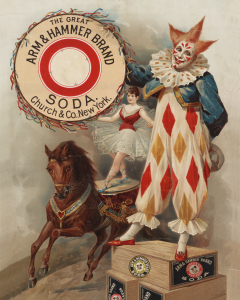 Advertisement for Arm & Hammer soda, showing a clown, and an acrobat on a horse.